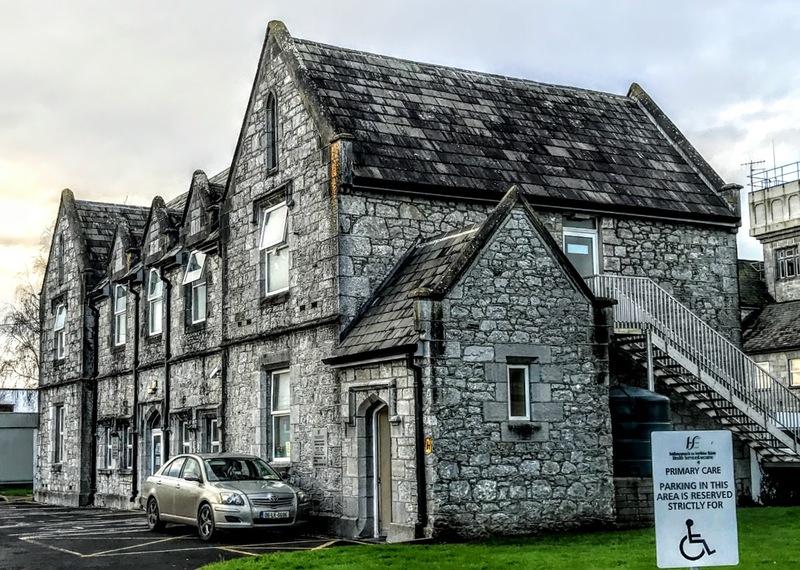 In recent weeks I have paid a number of visits as chaplain to Saint Ita’s Community Hospital in Newcastle West, a residential care unit for the elderly and catering for the west Limerick area. Saint Ita’s is part of the Health Service Executive (HSE). The centre can accommodate 102 residents, and the services include 10 respite, three convalescence and 75 continuing care beds for a total of 88 residents. The other 14 residents are admitted for assessment and rehabilitation requiring short-stay. Saint Ita’s Hospital dates back to 1841, and the first admissions were on 15 March 1841. A new unit of 110 beds was built in 1974. The assessment and rehabilitation unit and day hospital were established in 1989-1990. The hospital also has a new palliative care unit called the Jasmine Suite. 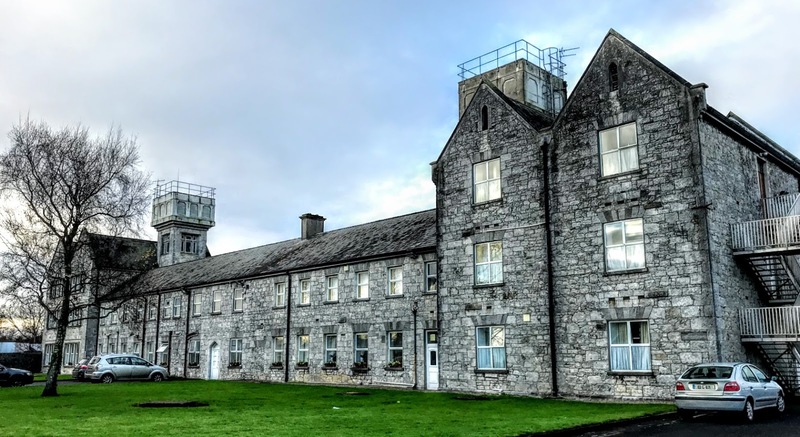 The hospital was built as a workhouse to a standard plan by George Wilkinson, architect to the Poor Union Commissions, and Thomas Deane was the contractor. The architect George Wilkinson (1814-1890), who practised mainly in Ireland, was born at Witney, Oxfordshire, and was the elder brother of the architect William Wilkinson (1819-1901), who practised in Oxford and whose major works include the Randolph Hotel (1864). George Wilkinson won a competition to design a workhouse for the Thame Poor Law Union in 1835. That building is now a campus of Oxford and Cherwell Valley College. He went on to design two dozen workhouses in England, and in 1839 he was invited to Ireland as the architect of the Poor Law Commission. Wilkinson also designed the railway station in Multyfarnham, Co Westmeath, and an Italianate-style station at Crossdoney, Co Cavan. His later works include the Cavan town terminus for the Midland Great Western Railway and the Harcourt Street Railway Station in Dublin for the Dublin Wicklow and Wexford Railway. He retired to England around 1888, and died at Ryde House, Twickenham, on 4 October 1890. Wilkinson’s design for the former workhouse in Newcastle West is economical, in a plain Tudor style with a minimum of decoration. He adopted Sampson Kempthorne’s ‘200 Pauper Plan,’ intended for more rural areas where pauper numbers were lower. The façade of the building follows a symmetrical design that is enlivened by the well-executed limestone walls, with tooled limestone highlighting many of the architectural features. The former workhouse building has a central, 16-bay, two-storey block, with a lean-to porch at the front. This central block is flanked by two-bay, three-storey, double-pile gable-fronted traversing blocks. There is a pair of four-stage, square-profile dressed limestone water towers to the rear, and these are surmounted by later rendered water tanks that have galvanised-metal railings and ladders. Over the past century and a half or more there have been many additions to the rear and the sides of the former workhouse as it was transformed into a hospital. The former Master’s House is an impressive building also designed by Wilkinson and built in 1841 in a plain Tudor style. The building originally accommodated the workhouse officials, including clerks and porters. This is a seven-bay, two-storey house with a dormer attic, gable-fronted, breakfront end bays at the front, gabled-bay dormer windows to the central bays at the front and rear, and a single-bay, single-storey porch at the side. The building has many architectural details, including finely carved tooled limestone plinths, stringcourses and hood mouldings. The gable-fronted bays add further variety to the façade and enhance the building’s visual appeal. The imposing boundary walls date from around 1840-1841, and with their simple artistic details, their rustic crenellations, and the cast-iron railings and gates, they enhance the visual appeal of the hospital campus and add to the streetscape at this end of Bishop Street. The famine graveyard behind the hospital includes the graves of many hundreds of people who died in the workhouse during the Great Famine and who are buried in unmarked graves. The cemetery is marked by a plain old cross and modern, limestone gates, showing scenes from the Famine. They were commissioned by the Famine Cemetery Committee and sculptured by Cliodna Cussen.